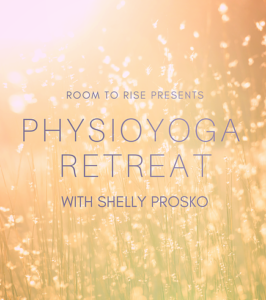 Join Shelly Prosko for this inaugural PhysioYoga Retreat August 16-18, 2019 at Pure Awareness Retreat site in Winfield, AB. 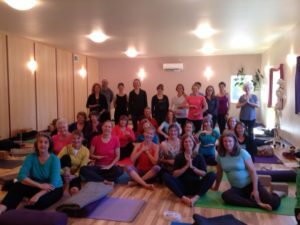 This 3-day, 2-night retreat is specifically designed to provide physical therapy, occupational therapy, and massage therapy professionals/students with the knowledge, tools, and confidence to begin to integrate principles of therapeutic yoga into their own practice. 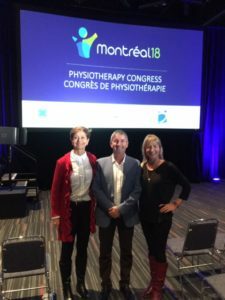 While this is an educational course, it also aims to address the ever-present theme of “burnout” in the lives of busy healthcare professionals. Throughout the weekend we’ll share nourishing meals, meditate, reflect, learn, connect with like-minded and like-hearted colleagues, and spend as much time outdoors as we possibly can — including morning and evening yoga practices connecting with the beauty of nature that surrounds us. Trust us – you don’t want to miss this! Throughout the weekend you may also choose to test your balance on a standup paddleboard, explore the 4km of groomed forest trails, enjoy some warm chocolate mint tea at the coffee bar, treat yourself to an Ayurvedic head massage, or simply relax in a hammock! No previous yoga experience is required. We hope the weekend will be packed with learning, laughing, breathing, and connection. The course is open to physical therapists, occupational therapists, and massage therapists. All other interested healthcare professionals please inquire. Registration opens December 7, 2018. In order to ensure that those who attend receive the best experience possible, our numbers are limited to 20 participants. Spots are only secured with payment via registration.